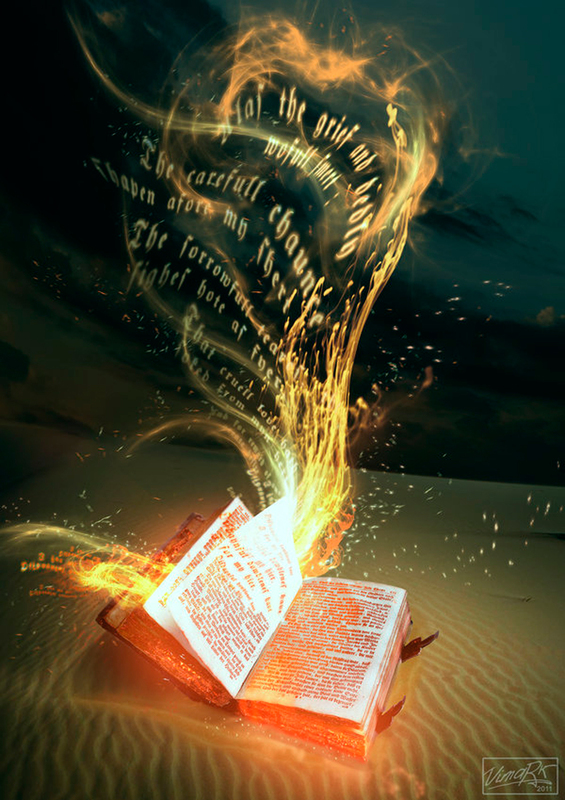 This article is a copyrighted extract from the upcoming book, The Inner Alchemy of Witchcraft by Romany Rivers. Air will feed a fire, or put it out. The flickering flame within the darkness and the house burning to the ground, both are fed by air. Our intentions and our words are like the oxygen that fans the flames of passion or anger. Yet air also has the power to extinguish fire, and it is this contradiction of abilities that we often overlook. Just as we breathe onto a spark to bring it to life, so we can use our breath to blow out the candle flame. We can fan a little flame until it burns brightly in the darkness, using the power of Air to uplift the spirit, encourage passion and confidence, and to illuminate the dark times. We can feed a small fire, giving it the gust it needs to grow, jump, spread and cause further damage. We can inadvertently breathe new life into a dying fire, whether we mean to or not, or we can consciously choose to extinguish a flame before it rages beyond control. How we choose to use our intention and words during times of heightened emotions will determine whether we encourage the fire to rage, or whether we use our power to cease its path of potential destruction. Romany Rivers is the author of Poison Pen Letters to Myself, The Woven Word: A Book of Invocations and Inspirations, and The Inner Alchemy of Witchcraft. 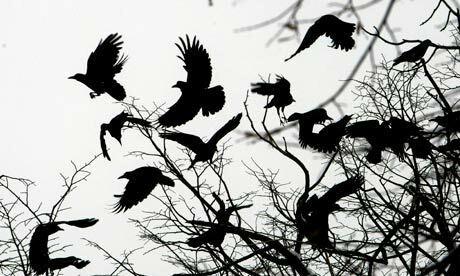 Community books and Anthologies include Witchcraft Today 60 Years On, Naming The Goddess, Moon Poets and Pagan Planet. Poison Pen Letters Comes to Life! 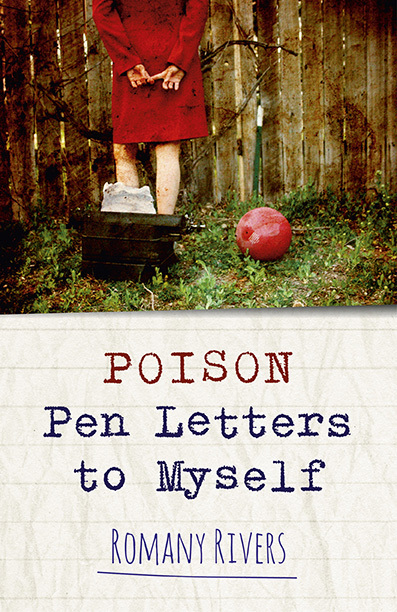 I am pleased to announce the front cover artwork of my new book ‘Poison Pen Letters to Myself’. I am so excited to see the design process of the fabulous Moon Books team, and how they are manifesting my dream into a physical reality. I am really looking forward to holding that first printed copy in my hands! a poetical journey of emotional and spiritual self-discovery through the years. This book chronicles a very personal journey through the years overcoming severe bouts of depression and consequently creating a more holistic and spiritual lifestyle. The chapters Red Letters, Return to Sender and Addressee Unknown reveal periods of depression and anxiety; anger and healing; and acceptance and spiritual growth. The words in these pages were not written for mass consumption. They were not artfully crafted for reading aloud in dim rooms to a soundtrack of clicking fingers and Parisian style applause. They were not intended as political statements or a way of reaching other wayward wandering souls. Over the last two decades they were poured, purged, scribbled and spat onto scraps of paper, napkins, backs of hands, into empty pages and blank spaces of other books. At times of sorrow, frustration, confusion, acceptance and joy these words made sense of the minds muddled meanderings. Within these pages you will find heart breaking, heart healing honesty that crosses the divide and touches the souls of others. Published by Moon Books, 2014. So I woke up this morning to find an email informing me of a book contract offer on my latest book. This is my second contract in just one year, and needless to say I did the happy dance in my dressing gown in the predawn darkness. My first instinct was to say that being offered a book contract feels like winning an award, but upon reflection I realised that wasn’t the best mentality to maintain. Of course I am happy, and of course it is an achievement, but it is a personal achievement. Viewing this achievement in the language of an award places the whole experience in the context of a competition, and competitions by definition reduce experiences to winners and losers. A competition defines personal success by the failure of others. There are simply millions of wonderful authors out there, both traditionally published through a publishing house or indie authors who have self-published, and there are millions more who have yet to be recognised by a publishing house, those who have been rejected time and time again (Keep pushing folks, chase those dreams). Being offered a contract puts me on that spectrum of authors and writers, but I do not need to define my success by those who have not or who have yet to receive the same acknowledgement.